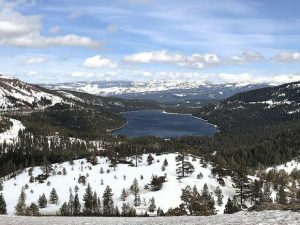 TRUCKEE, Calif. — As California’s drought worsens, additional restrictions on water usage are in place for most residents in the Truckee-Tahoe region. 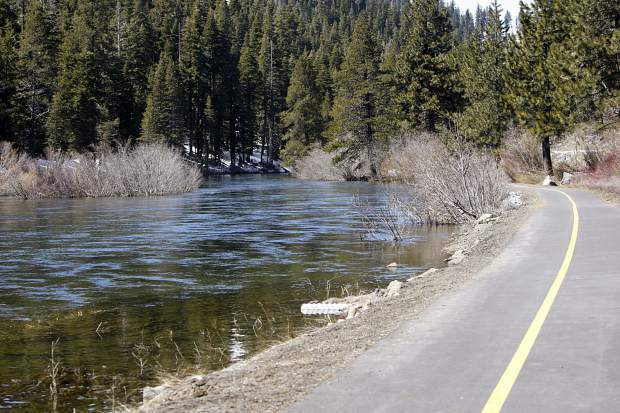 On Aug. 12, the Truckee Donner Public Utility District board voted to mandate that customers limit irrigation with potable water of ornamental landscapes and turf to 2 days per week, among other restrictions. The North Tahoe PUD board on Aug. 12 voted in similar restrictions for customers, including prohibiting washing of sidewalks and driveways; not allowing any irrigation between 11 a.m. and 6 p.m.; and disallowing filling or re-filling of swimming pools. 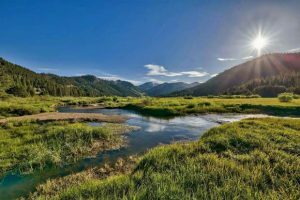 In July, the California Water Resources Control Board approved an emergency regulation to ensure water agencies, their customers and state residents increase water conservation in urban settings, or face possible fines. Regulations will be in effect for 270 days, unless the state lifts them due to changed conditions. The Tahoe City Public Utility District began enforcing similar regulations July 25, including direction to restaurants and bars to serve water only upon request. General Manager Cindy Gustafson previously said staff already in the field will be on the lookout for violations, and will put door hangers with reminders of the rules at properties. A first violation is a verbal warning, while a second carries a written warning. Fines are possible beyond that. For the North Tahoe PUD, a first violation warrants a warning and a follow-up in five days. For a second, the PUD will give a customer five business days to correct the error. A third violation warrants a $100 per-day fine, and $250 for a fourth. If that violation isn’t fixed in two days, a customer’s water is shut off. For Truckee, infractions are punishable by a $500-per-day fine, according to a district news release. To help with enforcement, the TDPUD has established a formal complaint procedure, and staff will investigate and take action where appropriate. Complaints must be in writing and can be filed at tdpud.org (click on “Forms” button). The NTPUD and TCPUD have partnered with Tahoe Resource Conservation District and the University of California Extension Master Gardeners to host a Water Wise Landscaping Workshop from 6-8 p.m. Thursday, Aug. 28, at the TCPUD office at 221 Fairway Drive in Tahoe City. The event is designed to provide customers with tips to meet the districts’ new water regulations by irrigating efficiently. It’s also meant to help in the long-term. Like most public water systems in California, both districts are required to reduce water consumption 20 percent by 2020, according to a news release from both agencies. The workshop is free and made possible through California Proposition 84 Grant Funds for water conservation. TCPUD has free water conservation kits available at its office. Learn more at tahoecitypud.com. NTPUD has similar kits available for free at 875 National Ave. in Tahoe Vista. Learn more at ntpud.org.